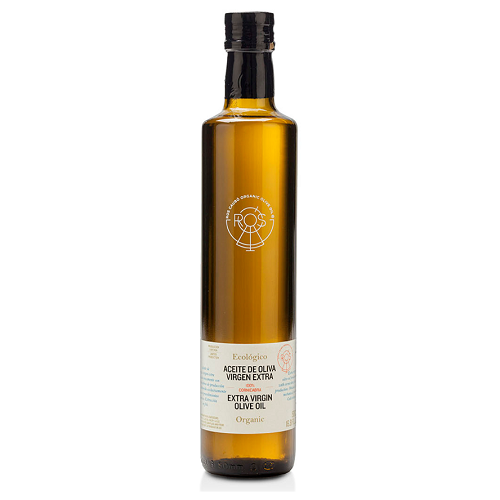 La Gourmet Box brings a festival of flavours to your table with this hand-picked selection of four great Spanish extra virgin olive oils, all 100% organic and monovarietal, in large bottles (500ml each). Use your senses to unlock the secrets of this green liquid gold. An elegant and generous olive oil gift box for olive oil lovers. Olive oil, like wine, comes in many different varieties. It can be sweet, fruity, full-bodied, light, with herbal or floral notes, slightly bitter or peppery, etc. Colour, aroma and flavour are the properties that we analyse when sampling this staple of the Mediterranean diet. We have selected for you four great Spanish extra virgin olive oils, all 100% organic and monovarietal, made by a true passionate artisan, to allow you to have a true olive oil tasting at your home, guided by the tasting notes you will find in your gift box. ♦ The land: soil quality and climate are important factors for determining the aromatic intensity of olive oil. Depending on these conditions, an oil will offer different aromas, textures and flavours to delight all five senses. ♦ The artisan: Set d'Oli is a family-owned press with an olive plantation in southern Catalonia that practises organic agriculture. Harvesting, production, bottling... they do everything themselves, the old-fashioned way, and the result is this 100% natural olive oil. ♦ The harvest: olives are harvested from the trees in autumn as they ripen and hand-pressed within 24 hours of being picked to keep the fruit from fermenting, which would affect the quality of the oil. 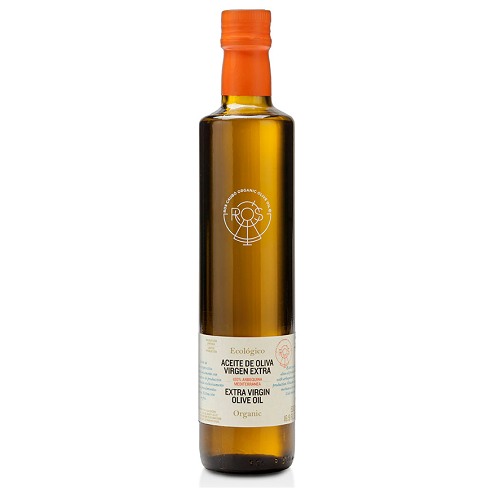 ♦ Designation of origin: extra virgin olive oil is the best kind; it is pure olive juice that has not been subjected to any chemical alterations or filters. ♦ Fruity flavour: the colour of olive oil ranges from pale yellow to intense green, but this tells us nothing about its aroma and flavour, which we can only discover by tasting it. ♦ Storage: olive oil is a natural product, and in order to preserve its natural properties it must be stored in a cool, dry place, protected from direct sunlight and tightly sealed to avoid contact with the air. The olive: Hojiblanca olives are grown in the provinces of Córdoba, Málaga and Seville. The name, which means "white-leaf", is derived from the colour of underside of the leaves, which makes these olive groves look silvery-white from a distance. These large olives are used as black table olives as well as in oil production. The olive oil: very fruity, slightly bitter and peppery, with hints of fresh-cut grass, green fruit, artichokes and aromatic herbs. Its character and rich aromas are perfect for enhancing the flavour of fish, meat or vegetable dishes. The olive: Picual is the most widely cultivated olive variety in Spain (Jaén, Córdoba, Granada) and the world. The name alludes to its shape, an oval that tapers to a point or pico. The Picual olive tree bears a medium-sized oblong fruit and has elongated, fluted leaves. The olive oil: Picual olives produce a full-bodied oil with strong personality and a slightly peppery, bitter aftertaste. Very fruity, with intense green, tomato and fig-leaf aromas and flavours. Ideal for using in hot dishes, frying, roasting, baking or grilling. The olive: In terms of cultivated surface area, this Spanish variety is second only to the Picual. It is primarily found in the provinces of Ciudad Real, Toledo and Madrid. The fruit is long and pointed, and its shape resembles a horn or cuerno, hence the name. 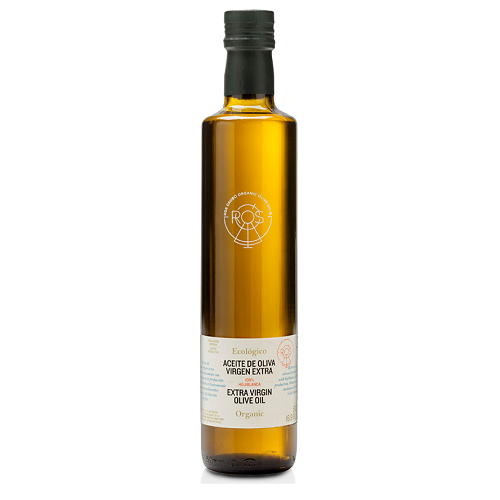 The olive oil: very aromatic, with a hint of apple fruitiness, it strikes a harmonious balance between the sweetness of the fruit and the bitterness of the leaves. 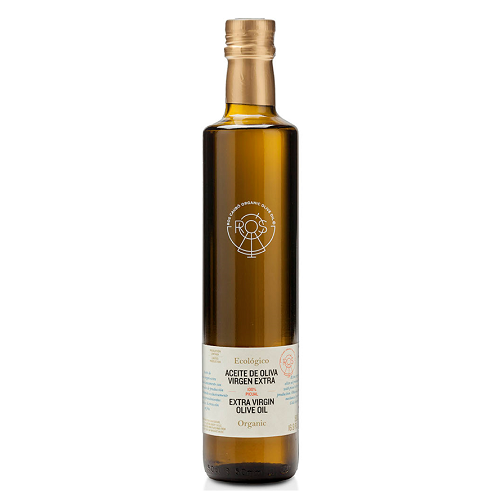 Its fresh grassy flavour and slightly peppery aftertaste make it the ideal oil for enhancing the taste of any dish. The olive: Arbequina is the most popular variety in Catalonia, although it is also grown in Aragón. It originally comes from the town of Arbeca, in the province of Lérida. The trees have vigorous crowns and bear a small, glossy brown fruit. The olive oil: light, sweet and with a delicate texture. The flavour is fruity, with hints of apple, banana and almond. Very fresh and not at all bitter or peppery, it's the perfect complement to delicate dishes, both hot and cold, as its flavour doesn't overpower the taste of other ingredients. J'aaime vos coffrets mais celui-là est peut-être mon préféré: il est vraiment beau à l'ouverture...et les huiles franchement délicieuses avec en plus les petits feuillets sur chque huile, super coffret ! J'ai véritablement adoré ce coffret : une présentation très soignée, avec les petits détails en plus ( en vrac : la carte postale, les petites feuilles d'olivier, la jolie carte cadeau avec le noeud assorti avec la feuille de soie...) et les huiles avec les petites fiches donnent vraiment ce côté dégustation qui est mis en avant. 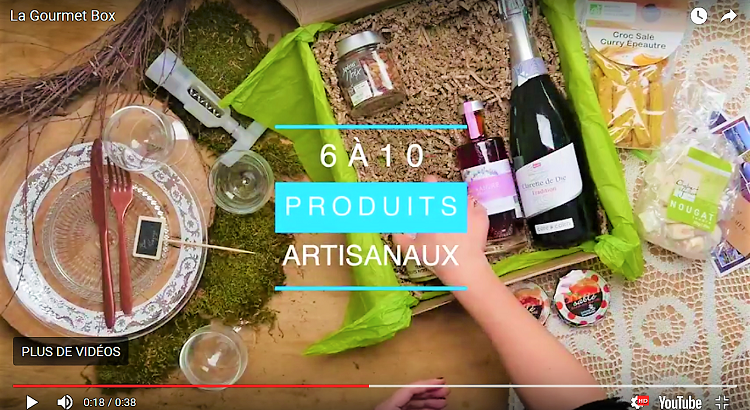 et les huiles d'olive sont délicieuses... gros coup de coeur pour l'arbequina. N'hésitez pas si vous avez un cadeau à offrir ! Great concept, beautiful Box and delicious extra Virgin olive oils: a must-buy gift for olive oils lovers. If you are an olive oil lover as I am, just go for this box : lovely presentation, super interesting plus the olive oils are true premium olive oils...the perfect treat.